Tired of asking for a fork at every Chinese restaurant? 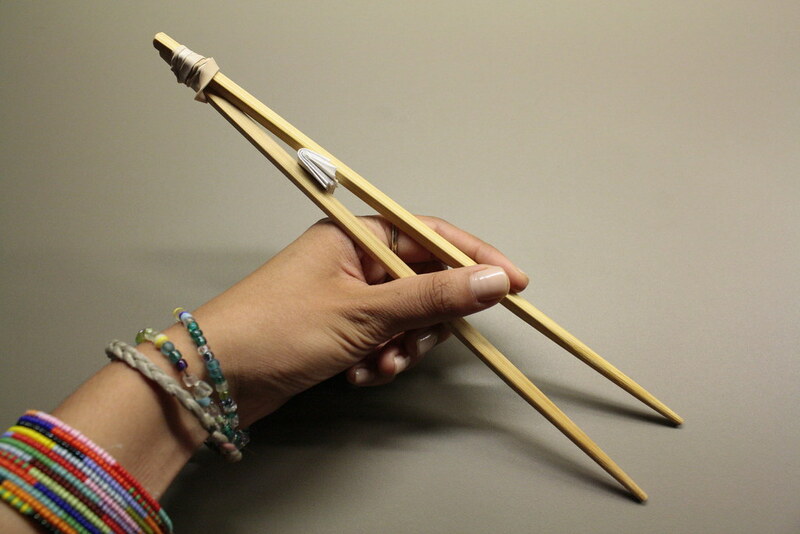 Frustrated by those pieces of sushi that escape the grips of your chopsticks? 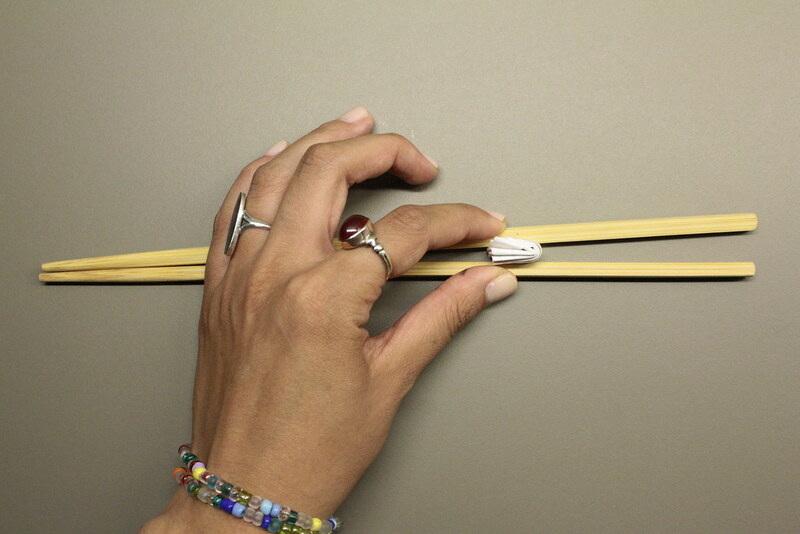 Well this easy cheat is just what you need to kickstart your chopstick-wielding career. Directions: 1. 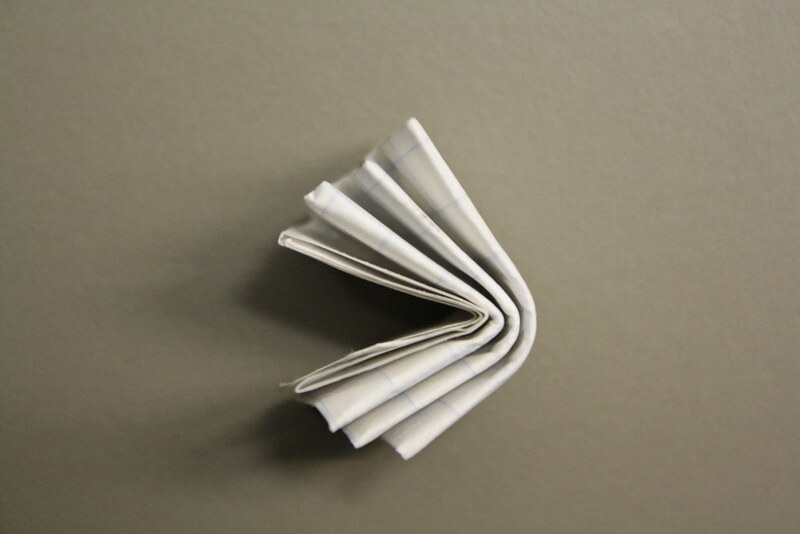 Fold your piece of paper back and forth until it is around 1/4 inch thick. 2. 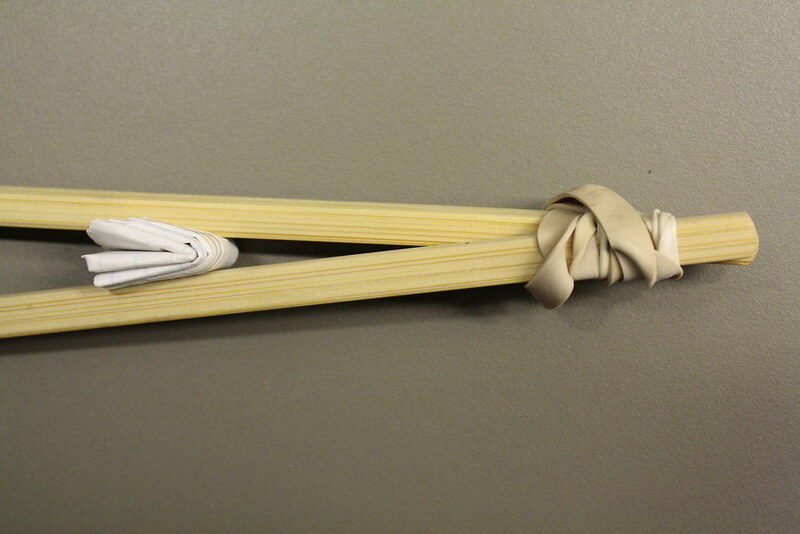 Place the piece of paper partway down your chopsticks. Placing the paper closer and closer to the ‘eating-end’ will make it easier and easier, because you are increasing the amount of leverage.